Coca-Cola's recent move to replace its chief marketing officer with a chief growth officer is a sign of a dangerous trend, Phil Rumbol writes. The idea of a chief growth officer or chief customer officer is an affront to all chief marketing officers. They might as well call it chief-because-we’re-not-growing officer. Or chief-because-we’ve-lost-sight-of-the-customer officer. These roles are designed to compensate for something that’s not happening. It’s an acknowledgement that marketing isn’t working and, in the irony of ironies, marketing has an internal image problem. But what is marketing if it’s not about the customer and growth? Customers and growth should be indivisible from marketing. Often the creation of these roles happens in larger organizations where there’s a separation between marketing execution and P&L accountability. In multinationals, CMO roles often exist to develop and share best practice and develop ads etc, leaving the local operators to bring home the bacon. But this creates a dangerous separation between marketing execution and accountability for results. It relegates marketing to the status of just another activity rather than the ultimate driver of long-term business success. And, unless you’re careful, it can create an executional habit where marketing teams focus on churning out activity rather than on growth. Another reason this happens is because marketers are too accepting of the fact that it’s often hard to isolate the effects of marketing. Marketers often take it as a given that it’s important to "build the brand" and are therefore happy to make themselves busy developing campaign after campaign—without ever really working as hard to continuously demonstrate the causal relationship between building the brand and growth. Staggeringly, a 2014 ISBA survey highlighted a sig-nificant decline in the number of brand owners using econometrics to prove the longer-term effectiveness of their marketing. The net result is that short-term sales become the only barometer of marketing success and means, like Premier League managers, CMOs are only as good as their next result. To avoid this, CMOs need to cultivate a strong growth habit. Instead of their teams busying themselves making ads, buying media and garnering social media impressions, they need to be fixated with growth. They need to clearly identify a customer-driven source of growth, focus all their efforts on unlocking it and then conduct reg-ular growth audits to track progress. To develop a strong growth habit, marketers and their agency partners also need to take a more holistic approach to brand-building. In simple terms, marketing falls into one of two categories: proposition (making the product or service as relevant and compelling as possible) or promotion (shining a light on the product or service to drive purchase). However, in my experience, many marketers focus too much on promotion and agitate too little on proposition—despite the fact that most brands usually stop growing because the core proposition is no longer as competitive as it once was. There are several reasons for this promotional bias. Looking back across my career on both the client and agency side, I’ve come to appreciate how hard it is for brand teams to be truly objective about the performance of their product or service. The faster pace of change in consumer society means that a strong incumbent brand can be de-positioned more quickly than ever before. Brand owners therefore need to listen hard for changing customer needs and be healthily paranoid about their product/service proposition and find ways to continuously improve it. But the truth is that it’s much easier to change an ad campaign and/or agency than it is to overhaul or upgrade the core product because it’s often more expensive and requires the whole organization to change. So marketers busy themselves changing the thing that’s within their control (promotion) rather than tackling the real issue (the core proposition). But as Football Association chief executive Martin Glenn observed: "All business failures are marketing failures at heart"—which means CMOs will ultimately carry the can. So to avoid being usurped by a chief growth officer or chief customer officer, CMOs need to proactively take organization-wide responsibility for growth and being the voice of the customer (even if it’s not formally their remit). They need to view marketing not as a department but as a discipline and have the ambition to mobilize the whole organization through thinking and ideas that inform brand behavior, not just comms messaging. "CMOs need to proactively take organization-wide responsibility for growth and being the voice of the customer"
The power of this approach was demonstrated with Costa’s recent relaunch. As a company that had enjoyed more than 20 years of uninterrupted growth, it knew the power of having the whole organization united behind a clear, customer-focused brand thought ("to save the world from mediocre coffee"). So when like-for-like sales started to falter, its response was to seek a new company purpose and organising idea for the brand, rather than simply try to advertise its way back to growth. 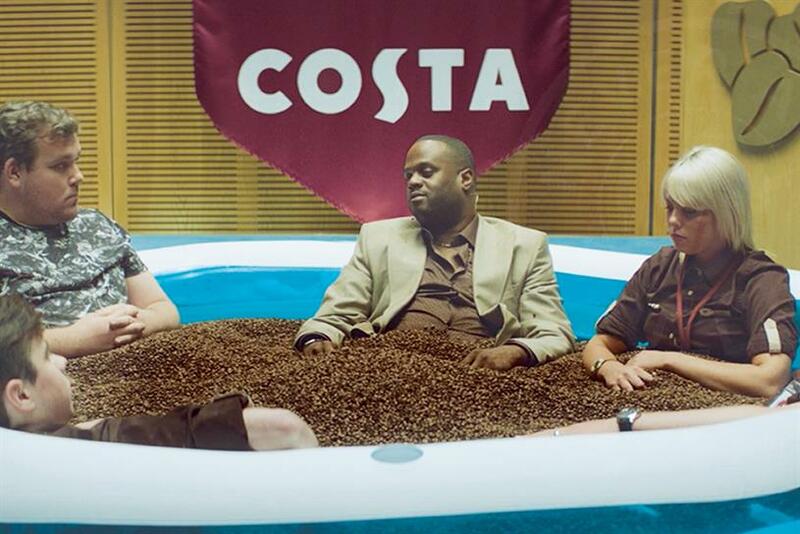 Within days of launch, the "Never a dull cup" campaign, by 101, had created ripples across the whole or-ganization, including a step change in baristas practising flat whites to ensure they were ready to live up to the promise. Sales and customer satisfaction responded immediately because the buzz created by the above-the-line work was backed by the in-store experience. And that’s what happens if marketers view themselves as the customer and growth conscience for the whole company, not just the department that makes the ads. —Phil Rumbol is a founding partner at 101 and a former Cadbury marketing director.